New stock arriving coming April 2019 ! Only the privileged few who had the chance to walk quietly in the small plains of northern Greece can tell you about the feast of flowers that meets the eyes. 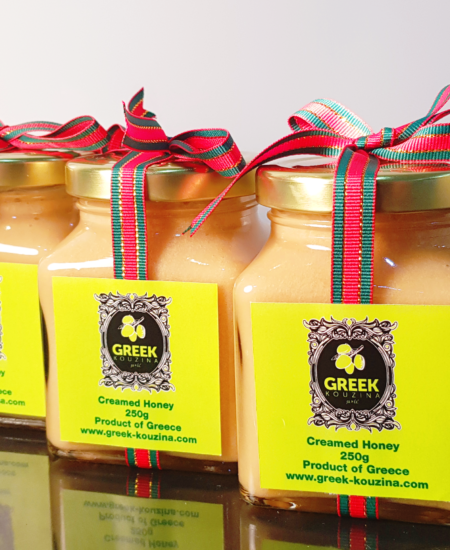 In north Greece, this extremely aromatic honey is produced twice a year; once in spring and another time in autumn. 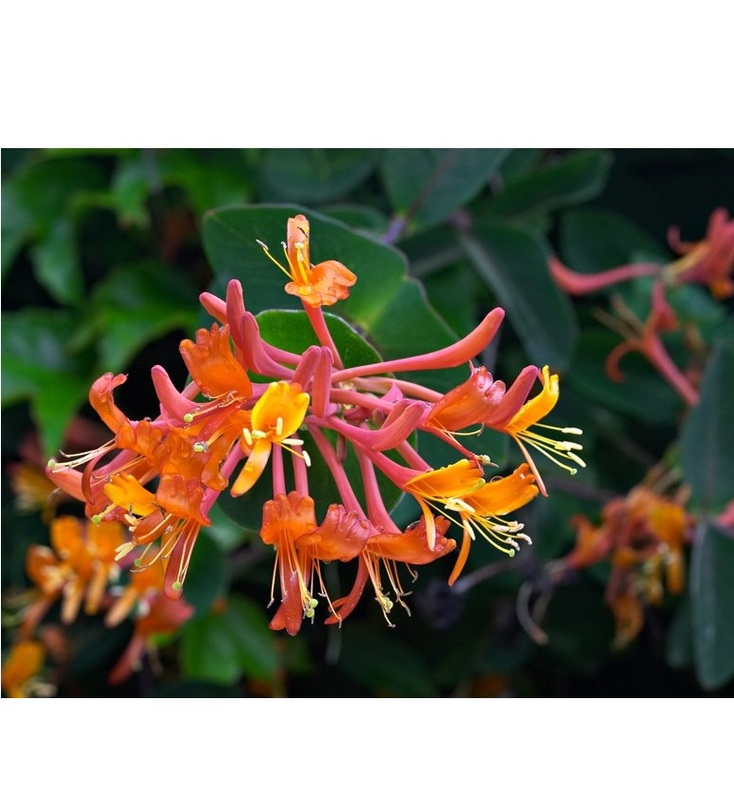 Forest flowers honey is produced by the nectar of the flowers which contain pollen grains of different plants and in varying proportions. 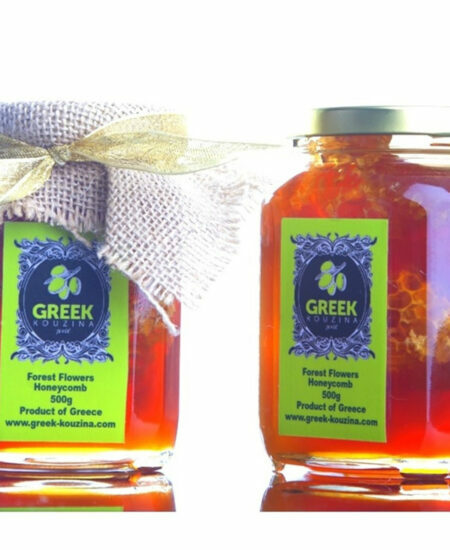 Forest flowers honey is a sweet and fragrant honey from Greece, with a unique flavor. It is very smooth and extremely aromatic characterized by the various unique bouquets of flowers. Forest flowers honey aids in digestion; regulates intestinal functions and enhances liver functions. Taking forest flowers honey regularly will increase the metabolic rate and body resistance especially beneficial for growing children. One can eat honey directly, put it on bread like a jam, mix it with juice or any drink instead of sugar, or mix it with warm water, lime juice, cinnamon and other herbs to make a medicine. It is savored by all due to its taste as well as health benefits, making it extremely useful and versatile. Crystallization is a natural process that happens almost to any raw honey worldwide. The crystallized honey will not affect the quality of the honey. When the raw honey crystallizes, simply put the jar of honey into warm water no more than 35 degrees C and wait for couple of hours to become thin liquid again. If you prefer, you can use the honey as is, when crystallized. 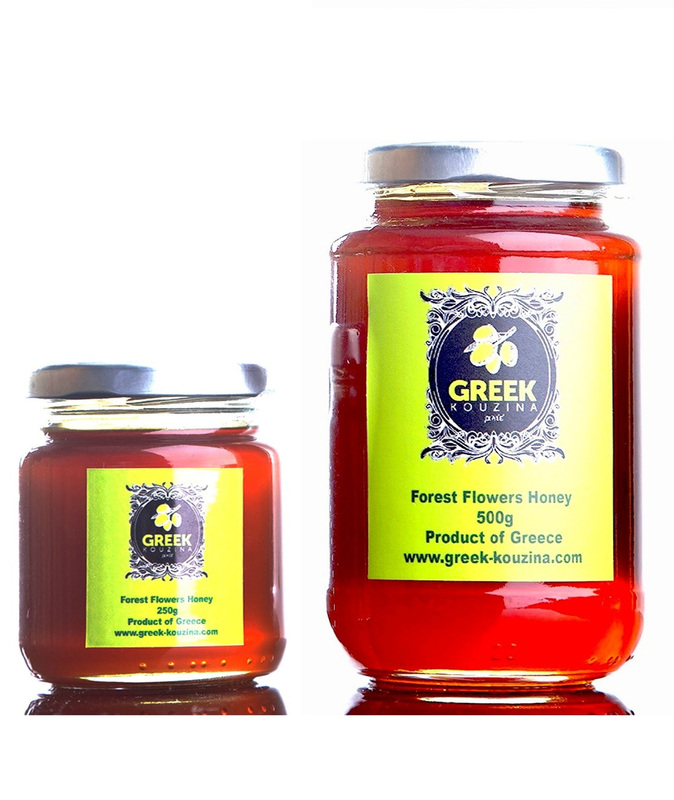 Raw honey, as our Greek kouzina honey is, has all its nutritious ingredients and value.